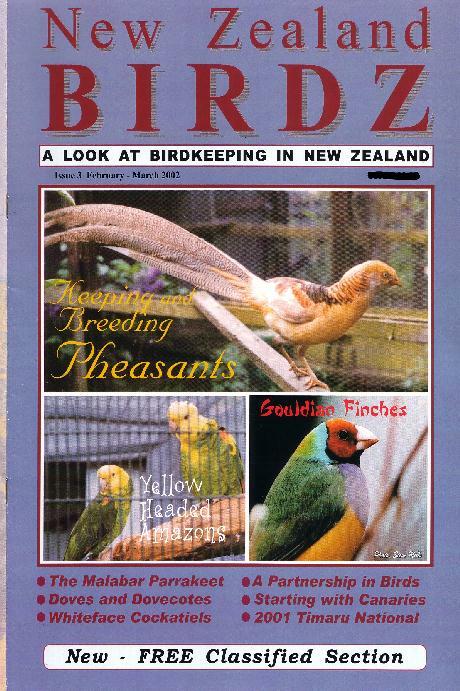 A new bi-monthly New Zealand based bird magazine, first issue published in October 2001, now available from pet stores and suppliers in New Zealand. One years subscription is NZ$53 (within New Zealand) for six issues. 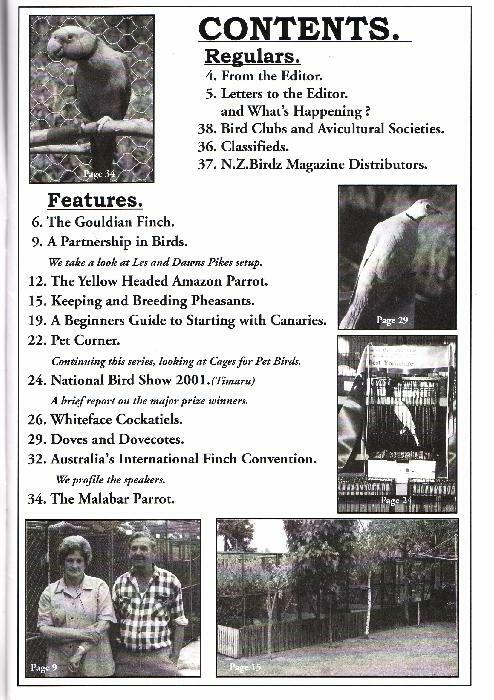 An Australian published bi-monthly bird magazine. Many articles about lories and lorikeets. Available from many newsagents, pet stores and suppliers in New Zealand. One years subscription, airmail to New Zealand (six issues) is AUD68.00, rest of the World (airmail) is AUD74.00. Until we can get some book reviews completed and included here this link has reviews of all(?) Lory books ever published. 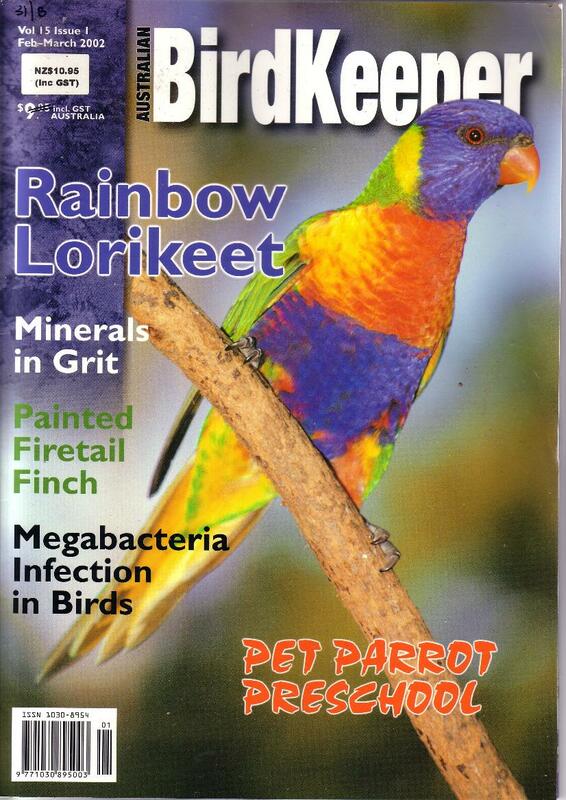 Lory publications list/reviews Everything ever published about Lories and Lorikeets. Last modified: 15 September 2002.